Yes, I know The Last of Us came out in 2013. But I only just got around to experiencing it now. It's one of the most important games of the last console generation and it's a great example of how all the other "games pretending to be movies" have fallen far short on the "movie" end of things. It's gorgeous, wonderfully acted, and has a gut-wrenching story that's driven by the arcs of the main characters. At the end, protagonist Joel does something people widely consider to be an evil act, but I want to make the case that he was in the right. Or at least, it would be right if he did it in a world where medicine works like ours. I'm going to spoil the whole thing here, in case you haven't figured that out yet. This is a good time for this kind of conversation because if you haven't played the game by now, you're probably not going to. 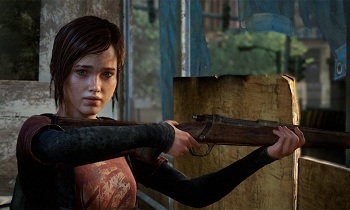 In case you haven't played, or you've forgotten: In The Last of Us, it's 20 years after the zombie apocalypse. Joel - a selfish and brutal smuggler and former raider - is tasked with taking young Ellie across most of what's left of the United States to find a group of people called the Fireflies. Ellie is (as far as anyone knows) the first human being immune to the zombie plague, and the Fireflies think they can use her to develop a cure. In classic literature, a tragic hero is an otherwise virtuous character that is undone (usually killed) by a single flaw. Joel is the opposite of this, being a cold, cruel man who is undone by a single virtue. Along the journey, Joel and Ellie bond. As they reach the end, heartless Joel finally opens up and begins to love again. This would be a happy ending, except that when he delivers Ellie to the Fireflies he discovers that in order to get their cure, they need to get a sample of the fungus from her brain, which will kill her. Unable to accept the loss of the first person he's bonded with in 20 years, he snaps, kills the Fireflies, and runs away with the unconscious Ellie. Later he lies to Ellie, telling her that the Fireflies did what they could but couldn't find a cure. Roll credits. Now, as presented, this was an evil act on the part of Joel. The zombie plague is the most devastating thing ever to hit the human race, and he stole away the hope of a cure rather than face personal loss. The story only makes sense thematically if we accept that what Joel did was wrong, and I'm sure that's what the writers intended. But the writers also wanted to make the player willing to participate in Joel's murder spree, so they made it somewhat understandable. In doing this, I think they went too far. First off, the Fireflies are not good people. They're losing a war against an oppressive government, but that doesn't automatically make you the good guys. We see them stage terrorist attacks and it's clear they're just as willing to murder for their cause as their foes. 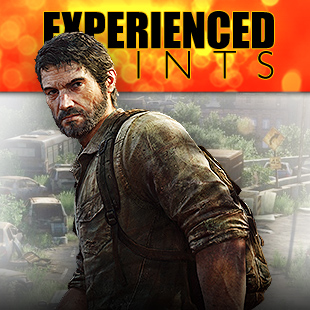 When Joel finally meets up with them, they find him trying to save Ellie from drowning. He's clearly no threat, yet they demand he stop (thus letting her die) for no real reason other then they're just pointlessly cruel and stupid. They beat him up and are clearly itching for an excuse to kill this guy who has just spent the better part of a year doing them all a massive favor. This isn't a bunch of humanitarians. Marlene (leader of the Fireflies) claims it's okay to kill Ellie for science because "Ellie would have said yes". That's a really sleazy bit of moral cowardice. I can swipe my neighbor's car and claim he would want me to have it, but until he gives it to me it's still theft. Likewise, killing a kid is still murder. Moreover, if Marlene is so sure that Ellie would say "yes", then she should have just asked her. That would make it so that Ellie's sacrifice was deliberate and heroic, not a knife in the back from a group of adults she trusted. Marlene makes it sound like this arrangement makes things easier on Ellie, but it's pretty obvious that the one person taking the easy way out is Marlene. I'm always pretty skeptical when I hear people justifying evil actions by saying the outcome will be worth it in the end. Having a good cause does not make you the good guy. Stalin's purges, The Crusades, Mao's Great Leap Forward, and Hitler's attempted genocide were all plans enacted by ostensibly smart (given the prevailing wisdom of the day) people who thought they would be doing good for the world, but who ended up killing millions without achieving their goals. While there are many thought experiments about doing some lesser evil in order to avert some other, greater evil, this sort of thing is usually just that: A thought experiment. In practice, people who perpetrate murder in the name of good tend to end up as shockingly prolific murderers, without seeing the anticipated benefit.